AEA prepared final design documents for a 3-mile section for resurfacing, including electrical upgrades at signalized intersections involving the redesign of existing signalized intersections to include pedestrian signal heads, ADA compliant push buttons, image detection, and 12” lenses for traffic signal heads. Work also involved evaluating lighting at signalized intersections, calculating clearance times for vehicles and pedestrians, preparing updated timing directives to include pedestrian phases and the new pedestrian signal heads, conduit fill calculations, new conduit runs, and relocating / replacing junction boxes and traffic signal foundations/poles. 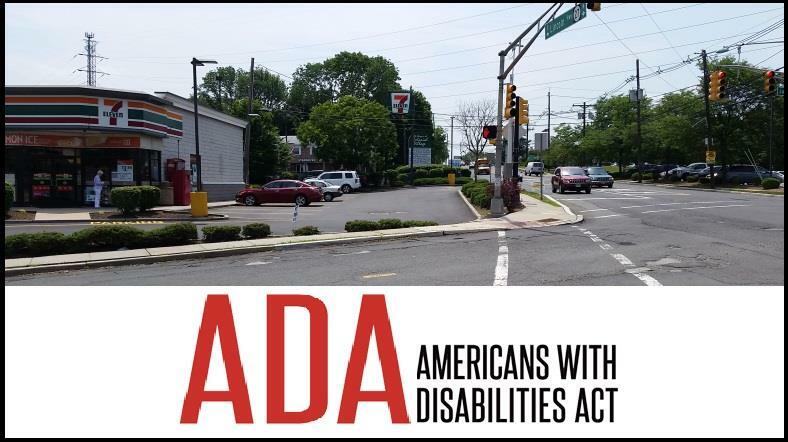 In addition, we designed over 150 ADA ramps throughout the corridor, at both signalized intersections and across residential streets / business driveways. At the conclusion of the construction, electrical as-built plans including revised block wiring diagrams were prepared using the current NJDOT CADD standards.